National Asphalt, a member of the Raubex Group, is introducing the latest innovations in road maintenance and rehabilitation to the South African market. This includes hydro texturising, a costeffective and environmentally sound solution for repairing flushed bituminous pavements. “With this acquisition, National Asphalt is now able to build on the initial momentum created by Shisalanga Construction in the road maintenance and rehabilitation sector by promoting hydro cutting technology,” Pretorius adds. Shisalanga Construction was established in KwaZulu-Natal in 1998 and recently introduced three high-pressure system hydro cutters into its equipment fleet. “Keeping up to date with the latest technology is critical for the road industry, particularly with the current focus on the large-scale rehabilitation of the South African road network. 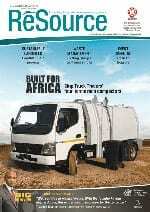 This means looking at the latest surface texturing and rubber, and spillage removal technology,” Pretorius comments. The hydro cutter can remove flushed seals – including bitumen, all asphalts and concrete – leading to a substantial improvement of the micro and macro texture of the seal. This results in a safer runway or road surface, as well as extending the life of the asset. Once the excess bitumen is removed, the stone chip matrix remains. In terms of multiple seal layers, the hydro cutter dramatically improves seal stability and reduces the overall bitumen content ratio by up to 1 ℓ/m2 in a single treatment. “That is an exciting potential application for National Asphalt and we are carrying out demonstrations in the Eastern Cape in particular. It is new territory for us but is a major boost for our innovation and technology profile,” Pretorius says. The high-pressure solution restores the texture and friction of a pavement by means of high-pressure water blasting. The hydro cutter combines variable water pressure with a high-velocity vacuum system to leave surfaces safe and stable. The vacuum system allows the machine to control the pressure at which it cuts. “The vacuum, and the ability to control the pressure, means that the texture depth can actually be determined while the machine is in motion,” Pretorius says. “It is a major advantage that the hydro cutter can actually capture and/ or secure all spillages and waste material for disposal at designated waste sites,” he adds. 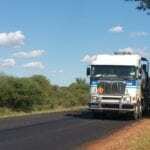 Removing excess bitumen and rubber from the road surface increases skid resistance, which results in fewer accidents on South Africa’s roads and runways. The hydro cutter process can be used to clean open-graded asphalt that has been clogged by debris. Simply changing the spray bar nozzles, cutting speed and pressure to create a ‘washing’ action will revitalise the asphalt by remixing all detritus material. The vacuum system guarantees that all unwanted material is removed from the road surface for proper disposal. The improved porosity of the treated asphalt layer also reduces the risk of aquaplaning, limits the road spray generated by vehicles by as much as 90%, and reduces road noise factor by 50%. 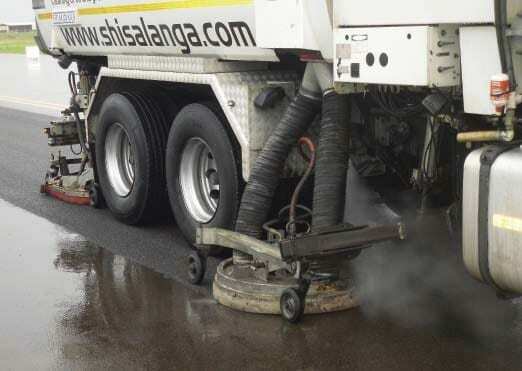 The hydro cutter from Shisalanga Construction consists of a truck-mounted, high-pressure water pump and vacuum recovery system with a 0.75 m to 3.45 m variable treatment width. 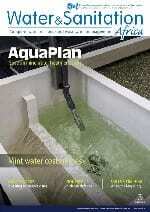 The water pressure is variable and can be adjusted to suit a particular application. It includes 5 000 ℓ and 10 m3 wastewater storage. 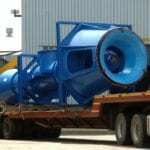 “Water energy is focused in fine streams at high speed via five rapidly rotating blasting heads. The water streams physically cut the binder from the stone with the energy of each ‘needle’ of water dissipated upon contact,” Pretorius says. The environmental friendliness of the technology is due to the fact it uses water only as opposed to non-renewable resources such as sealing aggregates and bitumen, and is safer than other forms of remediation. The use of hydro texturising to remediate flushed bituminous pavements has been pioneered in Australia and New Zealand, in addition to Europe and the United States, with no appreciable reduction in the structural life of the road surface being noted. Every year, about 2.2 million m2 of hydro texturising is carried out by the Australian and New Zealand road authorities. This indicates that such leading road authorities have moved away from traditional forms of remediation, with South Africa expected to follow suit as Sanral seeks to introduce the latest technology to assist with the rehabilitation of local roads and runways. 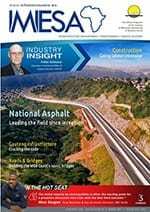 “Technologies are advancing in leaps and bounds for those involved in the asphalt pavement industry. Recent developments and advances with regard to the use of modified binders, hard bitumen and the like are affording practitioners such as National Asphalt the opportunity to utilise its skills to push the envelope of pavement design,” says Pretorius. An increasingly important requirement for road owners is the availability of pavement technologies that will limit interventions on heavily trafficked routes, thereby reducing disruptions due to congestion and minimising road-user delay costs. 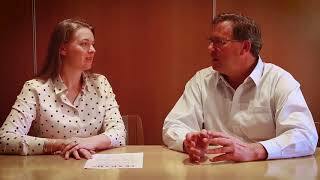 “The technologies available in the international market for us to piggyback on are quite huge. 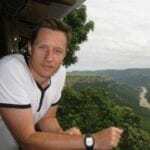 Obviously the European, US and Australian markets are becoming increasingly environmentally conscious as they strive to comply with increasingly stringent environmental concerns,” Pretorius says. National Asphalt’s strides in this arena include reclaimed asphalt (RA) technology, based on successful warm-mix trials conducted in the eThekwini region in KwaZulu-Natal, where 40% RA was used in a number of trial mixes. “We have carried out a lot of development work in the eThekwini Metropolitan Municipality, which has been very supportive of new technologies. SANRAL has also been watching this very closely in its drive to spearhead innovation.” While there are many benefits to introducing RA, the main advantage is the ability to recycle an existing pavement layer which comprises a mix with an inherently good aggregate and a certain proportion of bitumen. National Asphalt has also developed a unique dual-purpose environmentally friendly additive manufactured from renewable raw materials. Termed EcoNat, it can be used in the manufacture of warm and low temperature and cold asphalt mixes. In addition, its use as a powerful asphaltene dispersant means it is ideal for the manufacture of RA mixes where it rejuvenates the properties of age hardened bitumen. National Asphalt has a number of licence agreements in place with leading technology developers in the US. “We always try to secure new technologies upfront to maintain our competitive edge in the market,” Pretorius says. An example of this is the acquisition of a majority shareholding in Shisalanga Construction and spearheading the adoption of the latest innovations such as hydro texturising. “National Asphalt continues to invest significant funds on the technical and technology side and in ongoing skills development and expertise,” Pretorius concludes.